Hartland Parish Hall, Hartland. 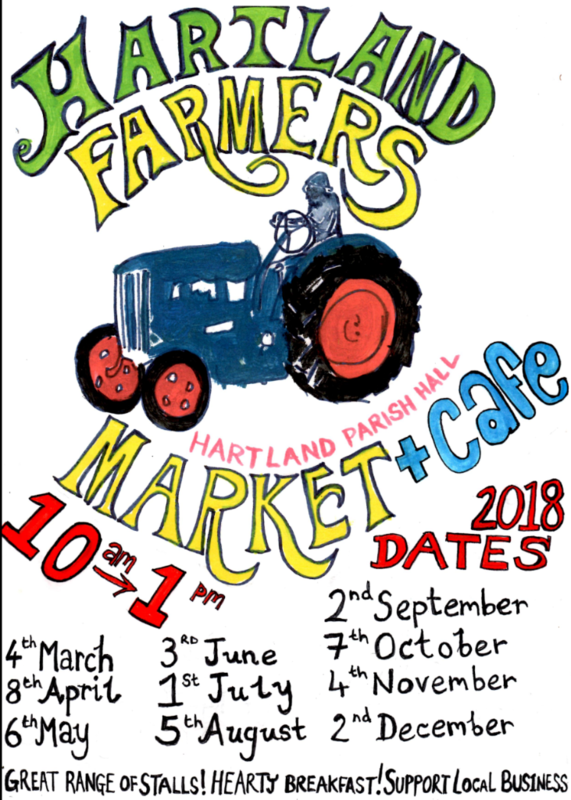 On the first Sunday of every month from March - December, come along the the Hartland Farmers Market & Cafe. Delicious local produce, real slow food, organic produce, seafood, meats, cheeses, local bakery...and so much more. There are also local arts and crafts and delicious breakfasts, pastries and drinks from the cafe (run from the Point@Hartland Point). Come and support local business, find a unique gift and treat yourself to some delicious food.